On a recent episode of my Moderate Rebels podcast with Ben Norton, I asked Nils McCune about the role of the Sandinista Renovation Movement (Movimiento Renovador Sandinista–MRS) party in marketing the recent coup in Nicaragua as a progressive popular mobilization. The full Moderate Rebels episode can be heard here. Nils McCune: I think that for decades, probably for centuries, the elite have done politics, right? And everybody else has the job of just sort of carrying out the economic activity that allows the elite to stay where they are. And in Nicaragua, that model lasted for decades and decades until the 1920s when, out of the civil war that the United States got involved in and used as a pretext to occupy the country, a figure named Augusto César Sandino formed his own army to fight against the U.S. presence here. And that army was based upon the idea of a difficult struggle in which the elite would cede ground to workers and to peasants, because only workers and peasants have the strength to carry out a long-term struggle for their own interests that’s capable of beating imperialism. That was his thesis, and he was really the developer of guerrilla warfare in the Americas, he was the first person to use it. It was successful. The U.S. Marines left Nicaragua after six years of occupation. And then Sandino was betrayed and killed by Somoza, the Somoza regime got started. But the reason that’s important to keep in mind is that when the Sandinista Revolution successfully took power in 1979, there was a combination of oligarchy families that were very unhappy with Somoza, as well as young revolutionaries from all social classes. So several of the very top-level, cabinet-level, cadre of the Sandinista Front of the 1980s were in fact the children of these oligarchy families, for example, the Cardenal brothers who were the Ministers of Education and Culture, as well as Carlos Fernando Chamorro who was the owner of La Barricada. So during that time there was a role for the sort of, the black sheep of these oligarchy families to get to be revolutionaries in that context. But as soon as the Sandinista Front lost power in 1990, there was an exodus of these children of the oligarchy from the party, because they were used to being ministers. They didn’t want to have to be opposition figures in an opposition party, they didn’t want to have to defend the gains of the revolution out on the street, fighting cops. They didn’t want to suffer with the Nicaraguan people. Many of them left and bought houses in Los Angeles or in Miami or in Spain. Many of them went on to write books. And what’s interesting is that–[interrupted for a moment by Max’s lifting up a book, The Country under My Skin]–yeah, Gioconda Belli, right? Belli is one of the other famous oligarchy families here in Nicaragua. So these people have led their illustrious lives. They’ve maintained contact in some cases with the U.S. solidarity activists who gave their time, their energy, their sweat, sometimes their lives, to support the Sandinista Revolution, and who were often able to make good friends with people who spoke English, people who had high-level positions in the Sandinista Front. So the ex-Sandinistas have always sort of had the ear of the U.S. and European Left. And this part of the MRS was formed out of a combination of legitimate grievances with the Sandinista Front at the 1994 congress, as well as sort of a social democratic tendency which at the time wanted to reject Marxism, said that socialism was a passé idea, and wanted to form new alliances. So once that party was formed, they sort of started to create their own idea for what they could do. They never had popular support, they never did neighborhood organizing like the Sandinista Front had, and they never went out to defend the gains of the revolution. So as soon as they went into an election, they were able to garner only this classic 2%. Meanwhile, the Sandinista Front, with all of its heirs, stuck with the large majority of the people, suffered with the large majority of the people, and has never had less than 35% support here. So that’s really a key to start to understand these two political forces that sort of claim the Sandino tradition. There’s a little bit more to it. There’s a figure named Monica Baltodano who has sort of an ultra-left analysis. So we have the MRS, which is a social democratic analysis, which is the MRS Movement for Sandinista Renovation, and then there’s an ultra-left MRS, which is the Movement for the Rescue of Sandinismo. In both cases, they’re the intellectual left-sounding arm of reactionary politics in Nicaragua, which have continually tried to destroy the Sandinista Front and destroy historical memory of struggle, to enable the elite to turn Nicaragua into a copy of several other countries where the Left has never been able to successfully take power and run a country. The secret here, and what makes Nicaragua different, is that there is a historical memory of defeating the Somoza regime and defeating the elite in building up a popular basis for a nation. And that memory is what allows Nicaraguans to face imperialism. It’s a constant source of strength, and that’s what they’re going after. So that’s my take on the MRS. They’re very strong outside of the country, they’re very weak within the country. There’s not one MRS member in Tipitapa because it’s a very working-class city. 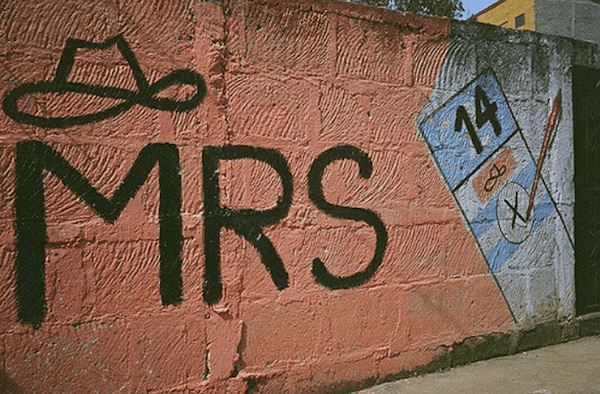 I would doubt that there are any working-class MRS members in all of Nicaragua. They do hold enormous sway over the NGO sector, and they are who has been the most agile in receiving foreign support in this country.